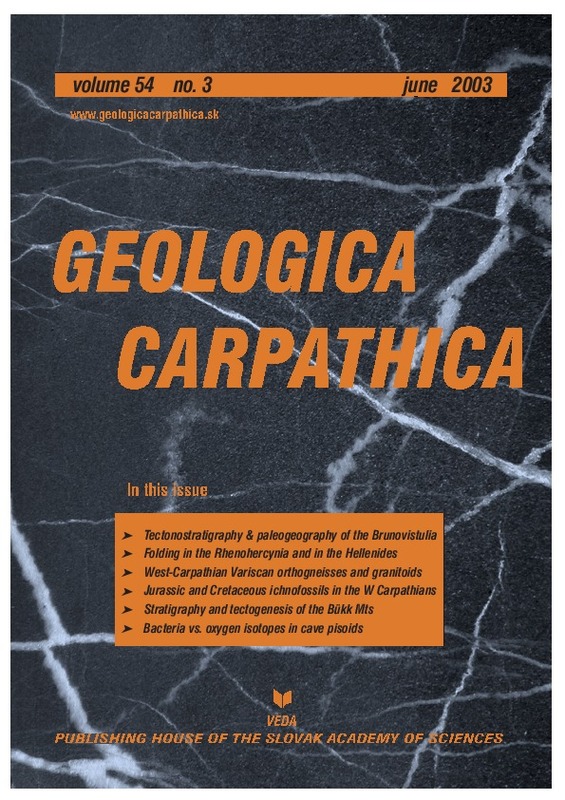 Abstract: The trace fossil Curvolithus simplex has been described for the first time in carbonate facies: the Bajocian crinoidal limestones of the Pieniny Klippen Belt. Curvolithus is typical of the Cruziana ichnofacies. This suggests deposition of the crinoidal limestones at shelf depths, below the fair-weather wave base. Curvolithus occurs exclusively in the lowermost part of the limestones, which are interpreted as having been deposited in the toes of migrating bars or banks of crinoidal sand. Such settings display increased preservational potential of trace fossils, and are preferred by the most probable Curvolithus tracemakers, that is, carnivorous or scavenging gastropods. STRATIGRAPHY AND ORIGIN OF THE KISFENNSIK NAPPE (BÜKK MOUNTAINS, NE HUNGARY). IS THE SILICA UNIT REALLY PRESENT IN THE BÜKK MOUNTAINS?